Forex exchange rates are essential to Forex traders, regardless of other issues. They are what ultimately determines whether your deals go through or you go bust. The most widely used Forex pair is EUR/USD, although Forex currency exchange is large enough to facilitate an ever-increasing number of exotic currency pairs, regardless of their Forex exchange rates. In fact, due to their sheer liquidity, no other market can come even close to Forex exchange markets in terms of the overall amount of money changing hands. What are Forex exchange rates? Forex market is more than a mere bunch of computers networked into a cohesive machine, whose job is to trade currencies and make profit on even the slightest changes in the Forex exchange rates. We are talking about central banks, hedge funds, billionaire speculators and all sorts of financial entities. Along with you, other traders looking to leave their mark in various Forex platforms. In simple terms, try to think of Forex exchange rates as the price of one currency, except it is in another currency – say, the price of Euros in U.S. currency in. The value of a single euro in U.S. dollars would be something like 1.13172. In other words, if the price of the EUR/USD pair is 1.13172 it means that is how many dollars you would get on a single Euro. Of course, bid and ask prices would also have to be factored in. But the point is, Forex exchange rates are what determines how much money you will make, or whether you will make any at all. Most Forex exchange rates have four places after the decimal, as this is how little their value changes. The smallest decimal is called a pip. The one notable exception is the Japanese yen which only has two places after the decimal, because the basic unit is 100 yen. Meaning the original number would be multiplied by two – hence the “lack” of two decimals. 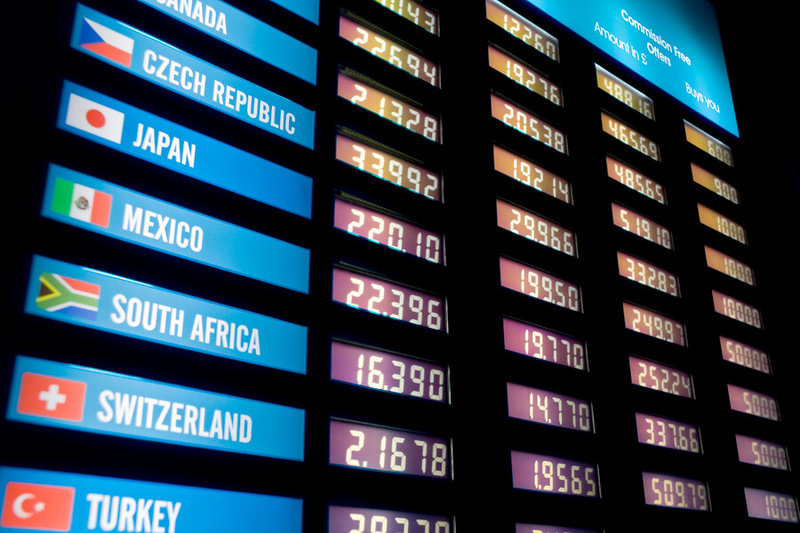 Exchange rates can be direct, indirect or cross – which mostly depends on where you are. For instance, a direct quote tells you the value of foreign currency in your currency. Whereas an indirect quote would tell you how much foreign currency a single unit of your currency can bring you. If neither currency is domestic to you, then you have a cross currency rate. When talking about Forex terms related to Forex exchange rates, the words “floating” and “fixed” come to mind, as well as spot and forward rates. If a Forex exchange rate is floating it means the value is determined by the market itself (mostly), whereas some currencies are fixed to a major currency such as the U.S. dollar for practical reasons. Having said this, there is no such thing as a truly floating or fixed rate, mostly because these are currencies we are talking about here. A nation’s entire economy rests on its currency and vice versa, and to simply let it float unchecked would be akin to playing Russian roulette with the barrel of the gun pointed at you entire country. This is why the central bank always keeps an eye on the currency it issued, even if it is ‘floating’. In practice, central banks have contingency plans in case their floating currencies reach a certain level and will intervene to keep it under control. 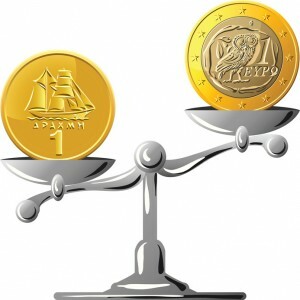 The only difference is that they are less likely to get actively involved, either because the economy behind the currency in question is so strong that Forex exchange rates can maintain themselves, or because they are too small and lack the resources to manage these affairs in a more expedient manner. 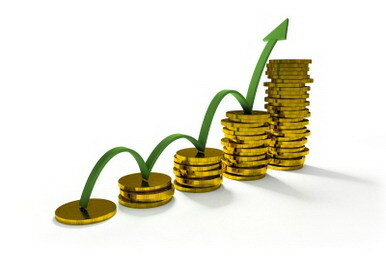 On the other hand, maintaining a fixed Forex exchange rate can be quite daunting, if your economy is failing. It would require huge financial reserves as well as lots of effort in maintaining rates the way you want them to go. It may even prove an impossible task and an impossible challenge. The best case scenario is a controlled descent that is still preferable to hyperinflation. Also, a Forex exchange rate can be a spot or a forward rate, depending on whether the interest rate differentials have been calculated in or not. Otherwise, the spot rate is the current market price – nothing too complex about that. Thanks to the effects of globalization, all of the markets in the world are interconnected, for better or worse. Whatever happens, anywhere in the world could potentially affect you and your bottom line, which is why Forex rates today are such a pain to deal with. You see, the value of a currency is far more complicated to be explained by a simple formula such as economy + supply/demand = value. Forex exchange rates do not work that way. First of all, yes, there are major players involved, with their schemes and stratagems and you are a tiny drop in the ocean of faceless investors hoping to find their way out of the Marianna Trench that is your life. And their interests will generally trump yours by an almost inconceivable margin, but that is no excuse to get bent out of shape. Central banks are looking to enforce their policies and make sure the economies of their countries keep running, whereas most major players are looking to exploit this for their own benefit. While you can certainly try to keep up, it is highly unlikely you will manage to stay in their shadow long enough to make a difference, at least the way you wanted to. By the time you have caught on, the opportunity will be long gone. The other theory on how to beat the system is to play at the mentality of small, individual traders and their mass actions. They can still affect the market, but only to a point. 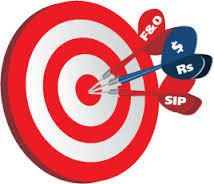 The thing that makes Forex markets so unpredictable is the sheer number of factors that need to be accounted for, which is challenging enough on its own – that is, it would have been challenging if we knew what these factors were or even how many of them there are! At this rate, traders are basically playing a guessing game, with their entire livelihoods on the stake. Even if all of the aspects of a single currency could be accounted for, you need to remember that Forex deals in currency pairs. That means the other currency in the pair brings a completely new dimension into the game. For instance, you would think that the Forex exchange rate of, say, EUR/USD Forex pair would depend solely on the Euro and the U.S. dollar. And it would, were it not for all the other currencies at play as well. If we bring another currency to the table, say GBP, and pair it up with the Euro and the U.S. dollar respectively, then the relationships become intertwined. If the U.S. dollar loses some value compared to the British pound, and the EUR/GBP pair remains stable, then the EUR/USD pair would be affected as well. And with tens of currencies paired up with each other, the tug of war that is going on is practically impossible to predict. Other than being a financial savant, the only way to make Forex exchange rates work in your favor is through the use of financial derivatives. The thing about derivatives is that they are a double-edged sword. On the one hand, they can force someone to enter an unfavorable deal (from their perspective) with you, or at least pay you some sort of penalty if they think it is easier and cheaper than to follow it through. On the other hand, if the Forex exchange rate moves against you, it is you who will be getting the short end of the stick and be forced to weigh in your options. Still, if used properly on Forex markets, these can help you acquire currency that you can immediately sell at a much more favorable, spot Forex exchange rate and earn some nice income in the process. Currency swaps are the most obvious, if a bit crude, type of derivatives. Basically, the two parties exchange some currency on the spot and agree to switch back after a while. Usually there is some sort of collateral on the side. If used wisely, this strategy can ensure you can “safely” store your currency until a later date. Your loss is someone’s gain and vice versa, but that is how Forex currency exchange works, does it not? Other than that, there are various types of currency options available, depending on the type of the deal and the circumstances. Essentially, one party sells an option to acquire some currency at a certain rate, and the other party buys said option and gets to decide whether to exercise their rights or let the option expire. Either way, the first party gets to keep the money they received for the option itself. If the seller of the option played their cards right, the fee they received will more than cover any losses a subsequent deal would incur. But if the other side is right, they can get their hands on some easy money. Currency futures work in a similar manner, except there is a lot more commitment on the behalf of both parties. These are standardized contracts that usually expire in three months. They are a delayed deal – one that is struck now, but money does not change hands and the deal does not go down until a later date. There is usually some sort of penalty for those who back out of it, so it is usually more beneficial to either go through with it or buy it back at a price, if the things are looking to get out of hand. In reality, only a fraction of futures actually gets carried out, but the ones that do not are also an important source of income. As well as a way of “cheating” Forex exchange rates and make them work to our benefit, for a change. Finally, forwards are quite similar to futures, except far less regulated and on an entirely different scale. These are also deals that were made in advance and are to be realized at a later date, regardless of the circumstances. Other than the way they are regulated, there are several other peculiar features. For one, currency forwards are made between major players exclusively, which means the regulation is on an entirely different level as well. Since small fry have no way of getting in on these deals, the currency forwards club is every bit as exclusive as you might think it is. In fact, the only reason it is even being mentioned here is purely from a theoretical aspect. However, these deals usually go through, or there is a separate way of settling disagreements. After all, these players are far too big for any regulatory body to take on. Regardless of what you think about Forex exchange rates, the importance of this subject cannot be overstated, as this does not affect just the traders on the market, but entire economies as well. In a way, by engaging in Forex trade, you are finally taking matters into your own hands, rather than to allow yourself to become a pawn in the greatest game of all. Whether you decide to play things by ear or opt for derivatives, the only thing that is for certain is that you have your work cut out for you. Here are some useful links on the subject, in case you want to know more.